Drivers have only one weekend left to get a £5,000 discount on an ultra-green car. From 1 March 2016 the maximum subsidy available to purchasers of the greenest cars will be cut from £5,000 to £4,500 as ministers reduce taxpayer support for each vehicle sold. 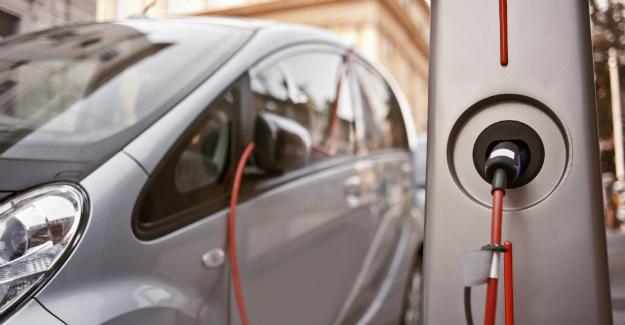 As part of the overhaul of the plug-in car grant scheme, vehicles will also be divided into three sub categories depending on the extent of their green credentials. For certain vehicles this will result in a maximum pay out of no more than £2,500. A few will be excluded altogether. The plug-in van grant scheme is not set to change. Category 1 – CO₂ emissions of less than 50g/km and a zero emission range of at least 70 miles. £4,500 grant. Category 2 – CO₂ emissions of less than 50g/km and a zero emission range between 10 and 69 miles. £2,500 grant. Category 3 – CO₂ emissions of 50 to 75g/km and a zero emission range of at least 20 miles. £2,500 grant. Note: Any model or variant in categories 2 and 3 which from 1 March 2016 has a list price of over £60,000 will now be excluded from the grant scheme. Based on current pricing this would affect some or all of the variants of those models marked with an ‘*’ above. The Committee on Climate Change (CCC) estimates that for the UK to meet its legal obligations to cut greenhouse gases by 80% by 2050 – compared to 1990 levels – 9% of the new car market should be ultra-low carbon within the next five years. This means around 240,000 pure battery-powered cars being bought in 2020, more than 7.5 times the 31,000 vehicles sold in 2015 under the scheme. The table below shows the number of plug-in car grant (currently worth up to £5,000 per vehicle) and plug-in van grant (worth up to £8,000) claims by quarter since launch. “Given that the market was almost non-existent just five years ago there has clearly been progress made in getting drivers to go ultra-low and manufacturers will be relieved government has decided to taper the grant rather than scrapping it completely. “The question is whether the new grants will be enough to nudge our choice of vehicles towards the eco-friendliest options. One of the big success stories has been the Mitsubishi Outlander plug-in hybrid which currently attracts a £5,000 grant. But under the new rules that will fall to just £2,500. “Much will depend on how manufacturers respond and whether they adapt their pricing policies. “In many ways the big concern is the almost non-existent electric van market. This was perhaps where the greatest hope lay with expectations that urban delivery firms and local authorities, whose vehicles did known mileages and could be easily recharged at the depot overnight, would go electric.